Another fighter and former world champion is added to the increasing list of performance enhancing drug (PED) culprits. 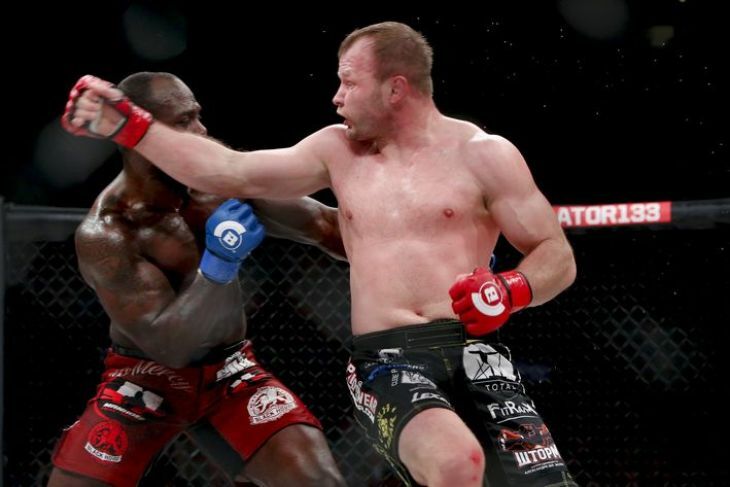 Alexander ‘Storm’ Shlemenko has tested positive for elevated T/E (estosterone-to-epitestosterone) levels following an impressive win over Melvin Manhoef at Bellator 133 back on February 13. Shlemenko (51-9, 1 NC), would have notched his 52nd win of his 11 year career. The California State Athletic Commission have overturned the fight to a “no contest”, and additional disciplinary (most likely a suspension and fines) will follow. Bellator MMA CEO Scott Coker voiced his opinion on the situation, saying how the organization is “disappointed” in Shlemenko’s test results, and they support the CSAC’s actions. “Bellator fully supports the commission in enforcing harsh penalties to deter fighters from taking banned substances.”, Coker stated.